Passion + Profits + Do Good: A Business Manifesto. I am on a mission to help others live their passion, create extraordinary profits and do something good and valuable for the world. It might sound too good to be true – as we have all been living under the guise that profits are king and passion and do good are just nice nice add ons. The truth however, is that we are undergoing a shift in the way we do business and we are beginning to understand that all three – passion, profits and do good – are actually integral to one another. When they become aligned we have companies that are more powerful and inspiring to the world. I call this aligned and powerful company A Quantum Company. Through this website, I hope to engage and connect with 1000 thought leaders, entrepreneurs, co-investors, advisors and business professionals who can jointly share this mission. Together we can become a living example of what it means to be a Quantum Company. We welcome you to join us, so please sign up for our newsletter, join the online educational seminars or contact us if you want to discuss specific business opportunities and collaboration. 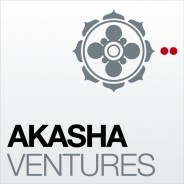 Akasha Ventures is an entrepreneurial movement where spirit and business meet. We help passionate entrepreneurs build the business of their dreams in flow. We support entrepreneurs to manifest The Field through business. Together we build leading business networks for the quantum era. We set an example and help the world to transform into a deeper place of enlightenment. We are dedicated to supporting entrepreneurs around the world and all the important work they do aims at making the world a better place to live, play and enjoy in a sustainable way. Entrepreneurs are by nature strong in manifesting change and development. They can often draw others’ attention. They often work from intuition and deeper wisdom and if they work from their heart, their deeper sense of being and their deeper mind, they often create good for the world. Using this process you can test your company in the 6 powers of a Quantum Company online educational module. Also you can test whether you and your company qualifies for being within our critetria and focus. You learn and get to know your deeper intention and motives. You can discover and get to know the Quantum Compass that can make you more aligned with your deeper intention and soul mission. You can test your company and learn how well you company already lives and manifests from the 6 powers. You can get to know the 10 steps to make it happen.